From left are Jinhwan Kim, Professor Dougu Nam, Dr. Sora Yoon, and Hai C T Nguyen in the School of Life Sciences at UNIST. 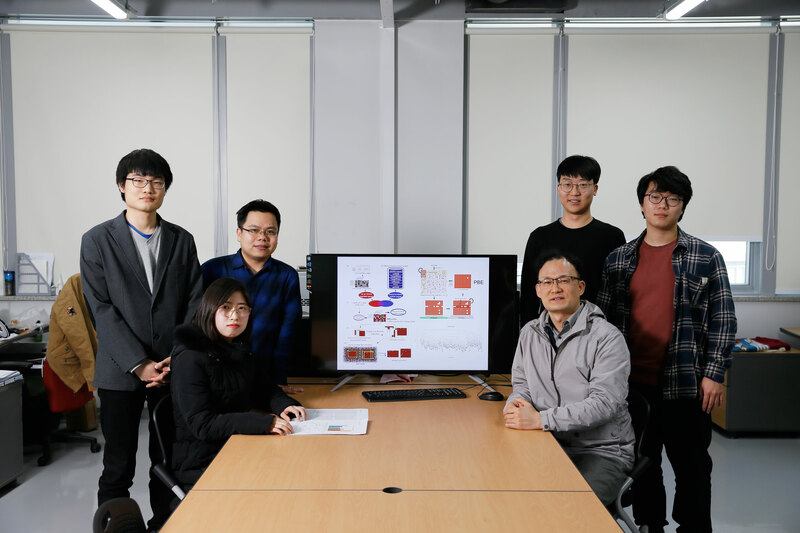 A research team, led by Professor Dougu Nam in the School of Life Sciences at UNISThas presented a novel approach to identify cancer suppressing microRNA (miRNA) targets and relevant cellular signaling pathways through large-scale gene-expression data analysis. MicroRNAs (miRNAs) are a class of short, non-coding RNA molecules (containing about 19-23 nucleotides) that post-transcriptionally control gene expression. Emerging studies have shown that miRNAs play a crucial role in many biological processes, thus providing beneficial diagnostic and prognostic information for patients with chronic diseases—including cancer and diabetes. 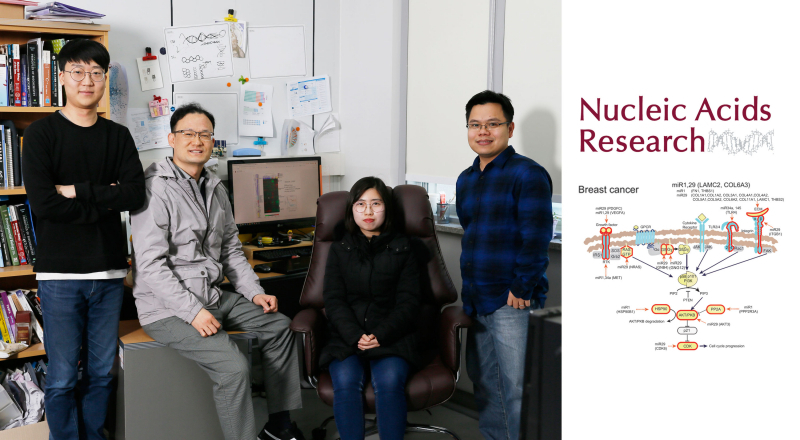 Through this study, Professor Nam and his team have developed a new analytical strategy that utilizes publicly available gene expression datasets, collected over a period of 15 years. To this end, the team has harnessed over 5,000 human microarray expression datasets based on a variety of cell conditions, such as disease, chemical treatment, tissues, and differentiations. They, then, analyzed the information on target genes of interest according to miRNA sequences. As a result, they could construct the so-called BiMIR, a bicluster database that provides the condition-specific microRNA target predictions. In total, 29,898 biclusters for 459 human miRNAs were collected in the BiMIR database where biclusters are searchable for miRNAs, tissues, diseases, keywords and target genes. (Click HERE to be redirected to the website of BiMIR). Above is theschematic image that shows the overview of the biclustering-based miRNA target prediction. Through experiments, the research team analyzed cancer-specific biclusters and found that PI3K/Akt signaling pathway was intensively targeted by a few miRNAs in two cancer types (breast cancer and diffuse large B-cell lymphoma). Further, prognostic values of those miRNAs and the regulatory effects of miR-29 were also validated by Professor Nam in collaboration with Professor Jiyoung Park in School of Life Sciences at UNIST. Those results demonstrate that biclustering analysis is able to reveal key pathways controlled by miRNAs in disease. 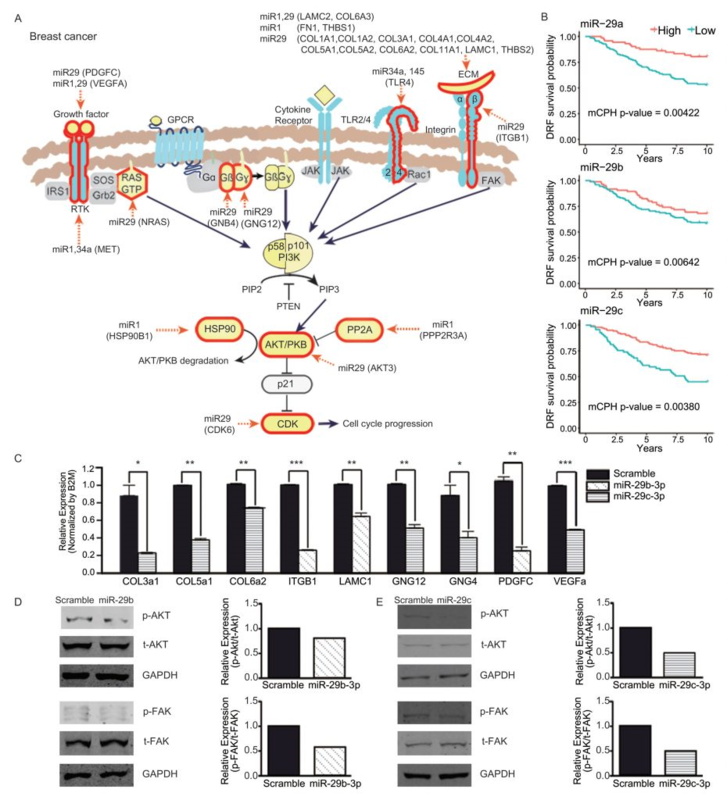 miRNA targets in PI3K/Akt signaling pathway (breast cancer). Dr. Sora Yoon in the School of Life Sciences at UNIST also partook in the study, as the first author. This study has been supported by the Korea Post-Genome Project of the Ministry of Science and ICT (MSIT). Their findings have been published online in the March 2019 issue of Nucleic Acids Research (IF: 11.56), a prominent biology journal published twice monthly by Oxford University Press, Oxford, UK. 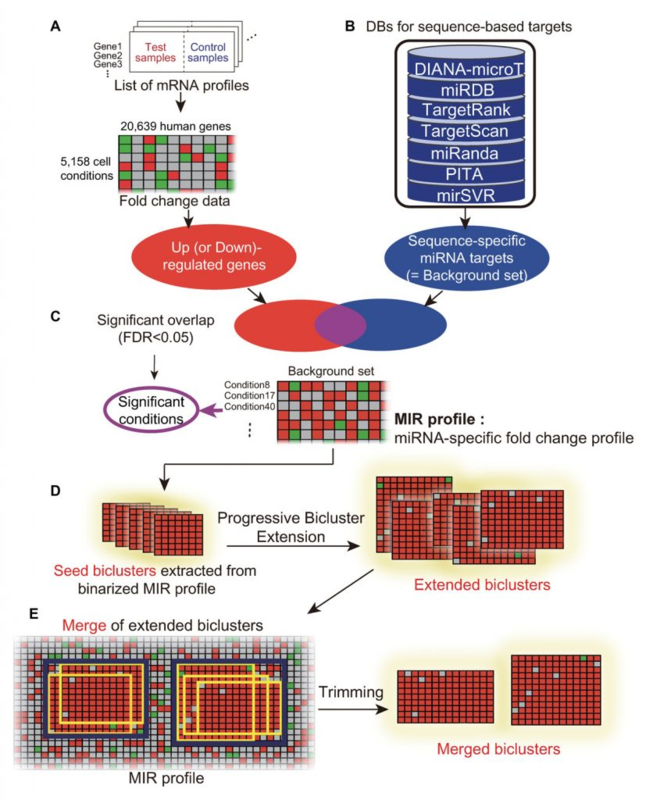 Sora Yoon et al., “Biclustering analysis of transcriptome big data identifies condition-specific microRNA targets,” Nuclieic Acids Research, (2019).